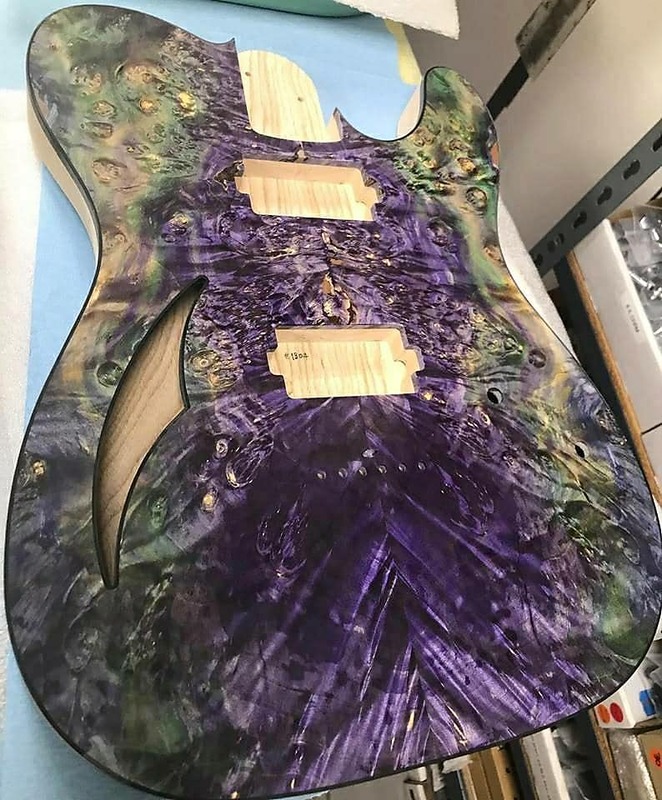 ETA is late June. 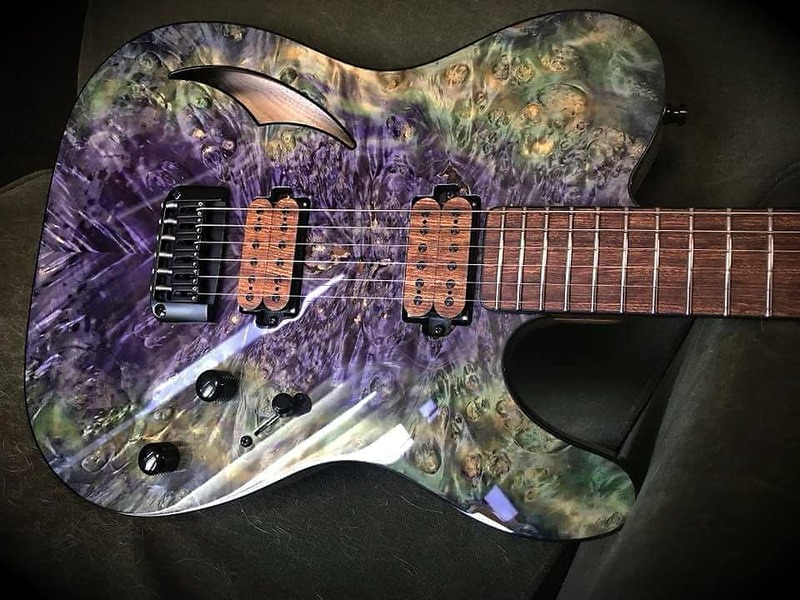 Please review policy at the end of this listing. 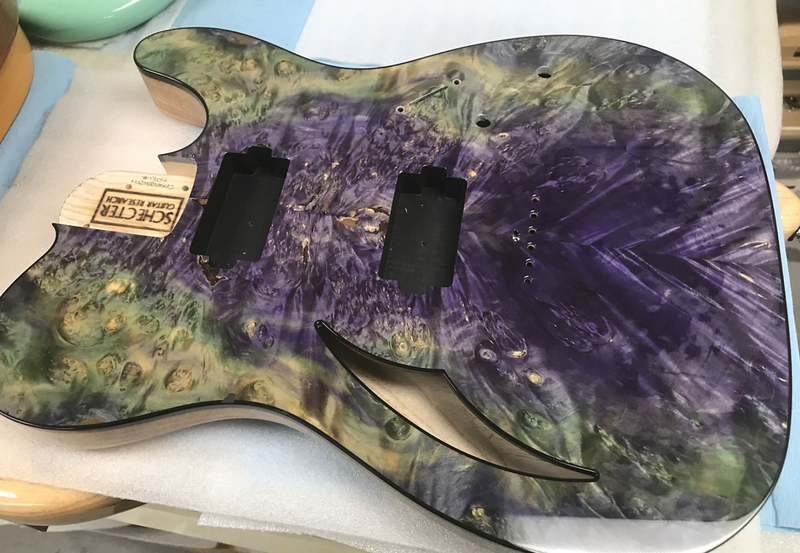 For this run, we wanted to create three masterpieces that integrate private stock woods, top quality components, and, most importantly, the valuable input from both Shigeki and Tetsu. 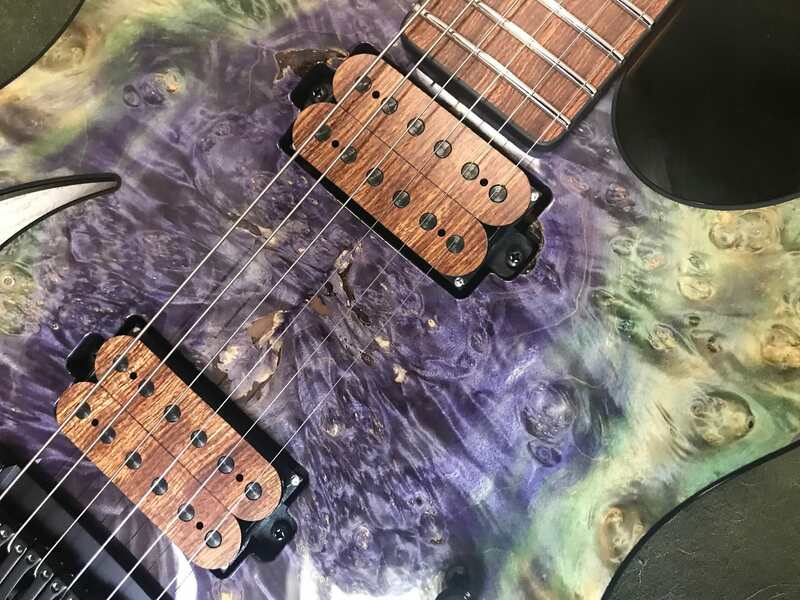 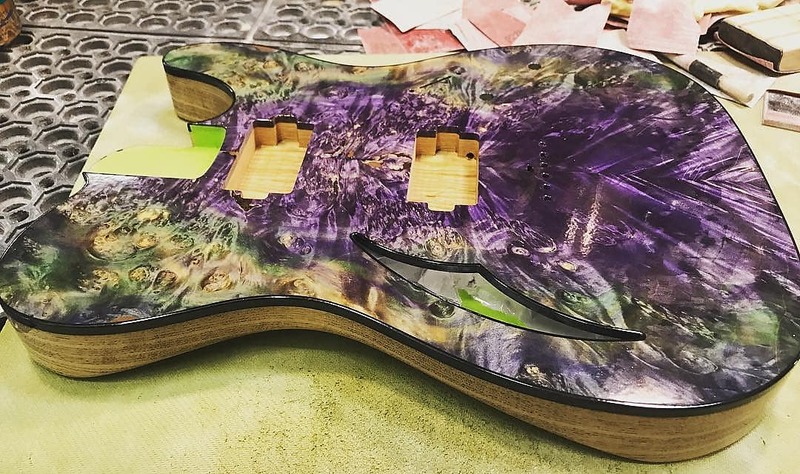 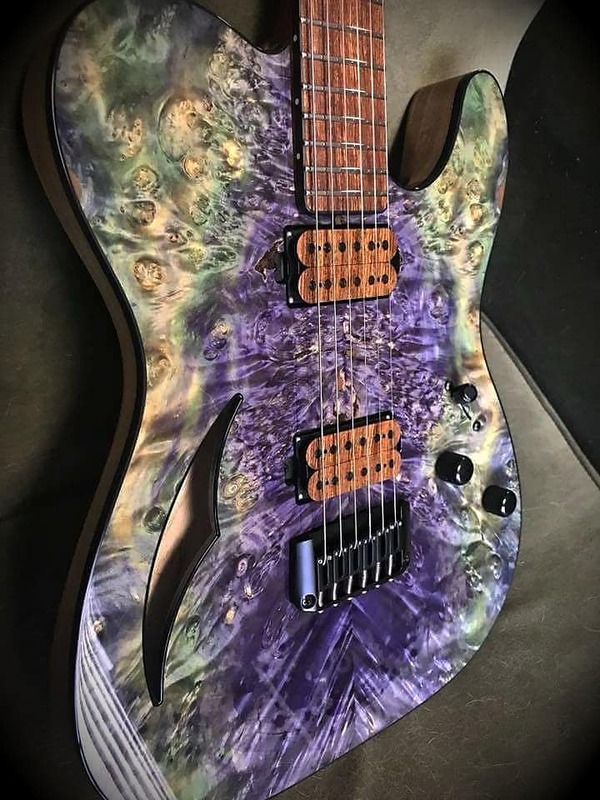 #1 of 3 is the embodiment of an idea to use a stabilized buckeye burl top with a semi-hollow construction, something that has never been done before. 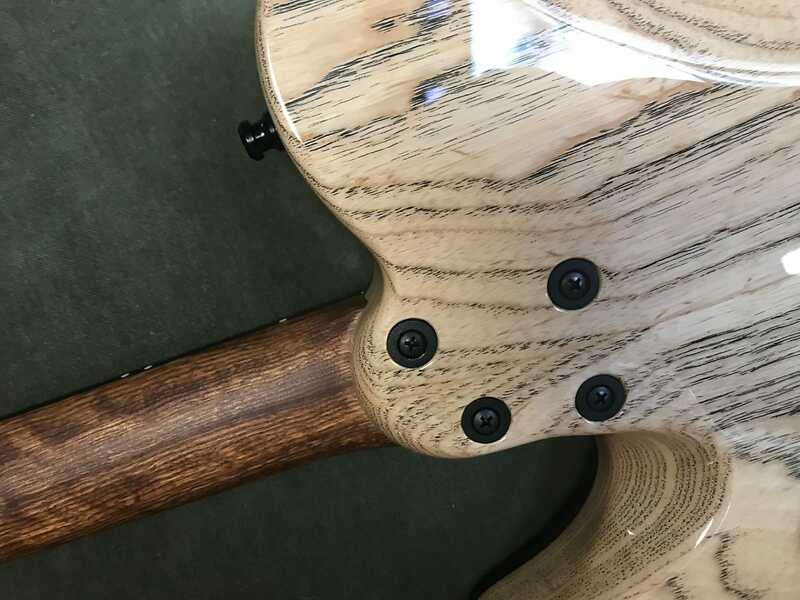 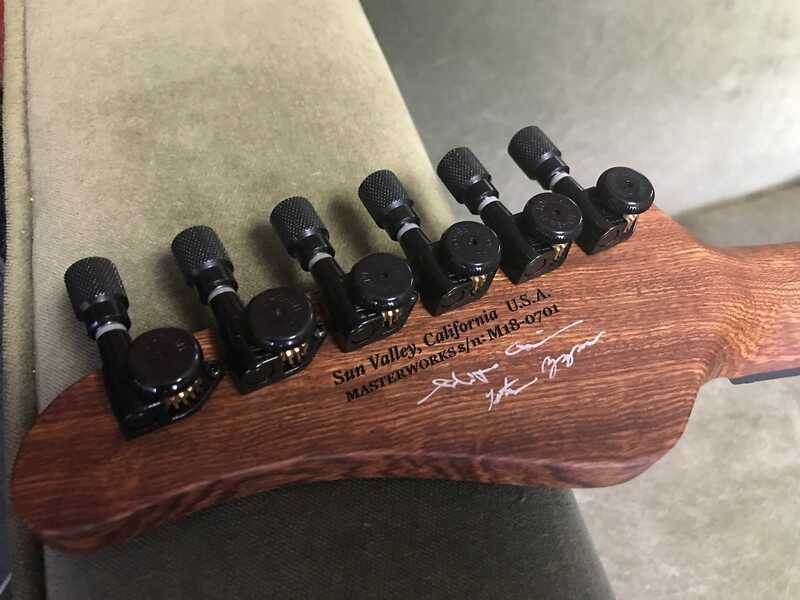 We also wanted to use perfectly seasoned and highly sought after Bocote wood for the neck material to add a high degree of density that pairs well with a semi-hollow construction. 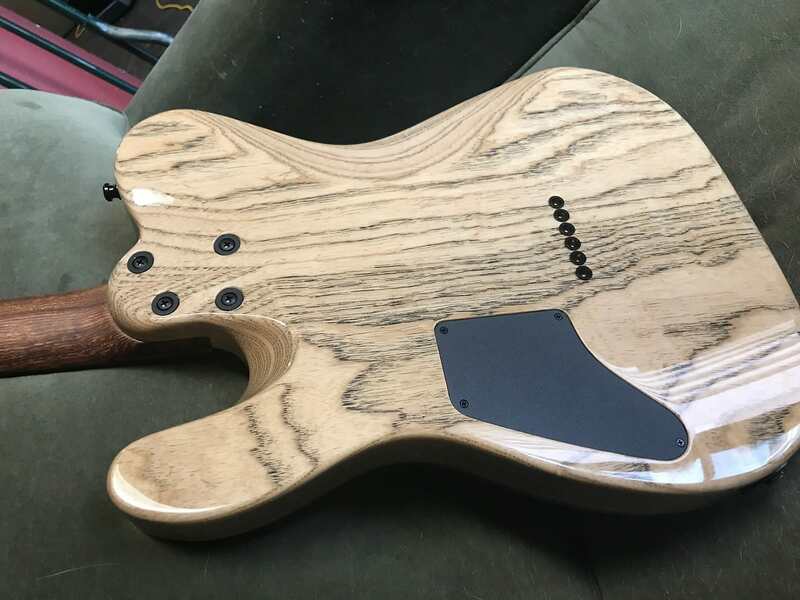 This is all accentuated by full black binding (even in the sound hole), with Bocote pickup bobbins and black powder coated hardware. 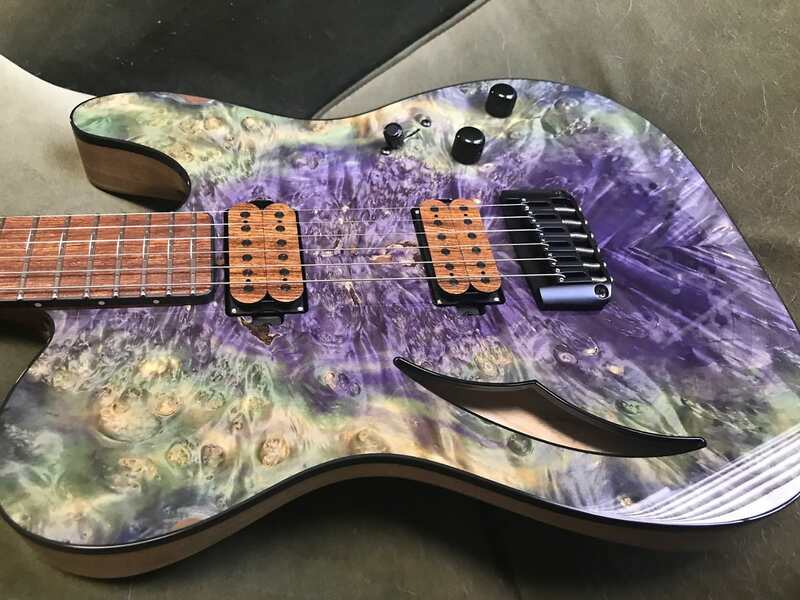 Do not miss your chance to own a piece of history and arguably one of the craziest guitars in existence! 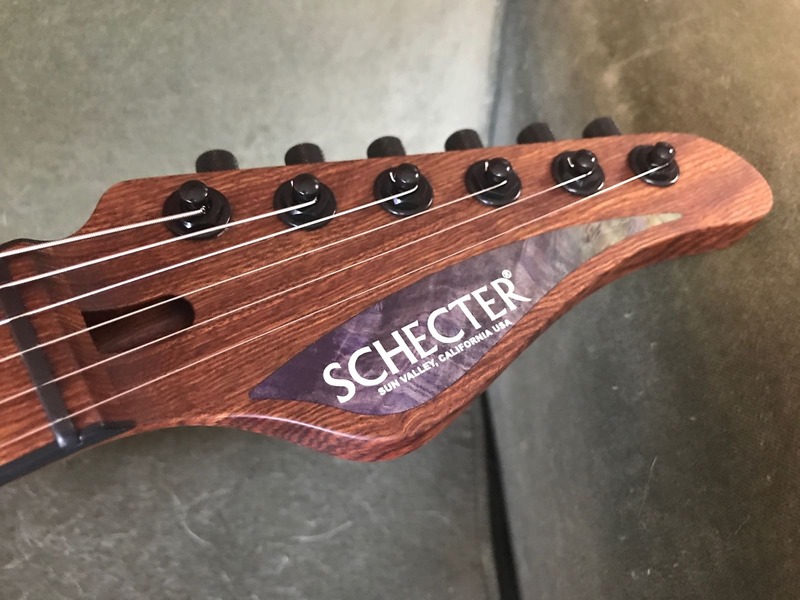 Red Dragon Guitars is very proud to be an authorized dealer for Schecter Guitars!